Bagong UNLI COMBO promo offer para sa inyo mga ka-tropa! Here's Talk N Text UnliTalk & UnliText 20. 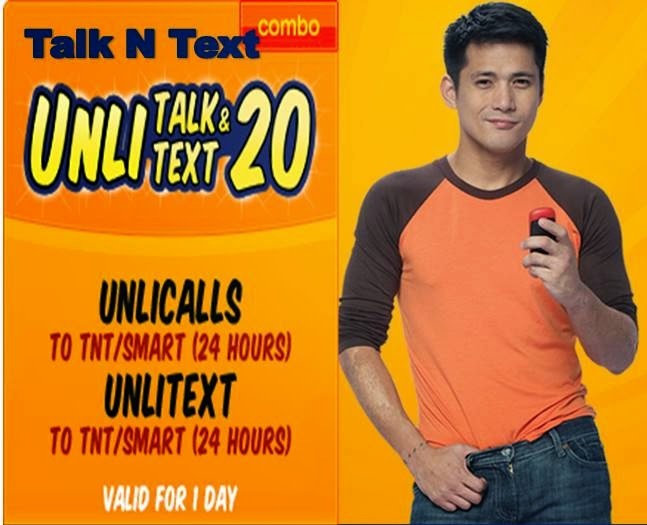 Very affordable offer that gives you unlimited calls and unlimited texts to all your friends in SMART and TNT for 1 whole day for as low as P20! Subscribe now for 1 day unli text at unli tawagan! This promo is available to all Talk N Texts subscribers nationwide. Promo runs until February 15, 2015.